Getting To Know Anea: I live in Atlanta, GA as a single mother with 3 children; two girls ages 9 and 14, and a son age 11. I currently attend a 4 year college. I currently work as a Clinical Assistant for Fulton County Schools. Upon graduating from Clayton State, I will finally be able to earn my certification as a teacher so that I can educate and advise those that have dreams and goals of their own to pursue. I want to be that person that makes a positive impact on the life of another, so that they can look back and remember that someone in their life cared. I suffered a lot of emotional abuse from my kids father. I was talked down to and called derogatory names, sometimes in front of my kids. There was a lot of anger and hostility, drunken rages from time to time, along with yelling if work didn't go well. It was like walking on eggshells whenever he was around. Physical abuse was not harshly aggressive, but i was often pinned down whenever he would go into a tantrum. It has been almost 2 years since we left the oppressor and our lives have become lighter, without worry of him walking into the house agitated. I had undergone 8 months of counseling and I have become a stronger, more confident person as a result. I recognize the dangers that abusive people can posses so I would not want anyone to feel that there safety is in jeopardy. I spent the first 9 months after leaving my kids father, peeking out of the window because I feared he would come by with anger. If a woman is not comfortable sharing then she should not be required to if she feels it may do more damage than good. After my parents divorced when I was 14, my sister and I lived with my mother while my father became increasingly absent throughout my teenage years. My mother was not fully capable of taking care of me and my sister, mentally or financially. There were times we had no place to live; staying with relatives, and even living in hotels a few times. Anytime we found an apartment, we never stayed more than 6 months. Since we moved around a lot, I didn't finish high school because I had to work to take care of myself at a young age. I eventually earned my GED while living in my uncle's basement, working jobs in retail until I found something better. I was about 10 years removed from the typical age range of the average college student when I decided to pursue higher education. By this time, I was 3 kids in and a failed marriage shy of where the average woman in her early 30s was in her life. Busy working and raising children, I decided it would be a good idea to take classes in September of 2010. I didn't understand what I had fully engulfed myself in, but I knew it would be a journey getting out because I had failed at earning a degree before. Working at a preschool from 8-4 Monday through Friday, it was a miracle I got any classwork done. Between toting my laptop to work, and staying up until 2 AMcompleting assignments for class, I was able to earn my Associate of Arts degree in Communications in July 2012. I felt massive pressure lifted from my shoulders after finishing one of the most daunting tasks of my life. I enrolled in a Bachelors degree program, but unfortunately I had over borrowed for school. Unaware of the Lifetime Credits in the financial aid system and exhausting all of my federal loans and PELL grants, along with the lengthy cost of my chosen program (Political Science). I was out of money and my only other option being to pay out of pocket. I had to pay down my debts in order to enroll in classes again. I was finally given another shot at getting a small fraction of the federal loan for the Summer 2018 semester which I accepted in the amount of $1800. I stay positive by surrounding myself with positive energy. I do a lot of reading and meditating. I admire women such as Michelle Obama and Hillary Clinton, for example, because they have faced challenges that many unspoken women in today's society are faced with. Women can be treated unfairly, and usually at the hands of the people we love the most. I am motivated just by knowing that there is an organization out here that has women's best interest at heart. Women need a platform that allows them to feel comfortable telling their stories and empowering one another. I read a lot of motivational books and I keep a book of inspirational quotes. Whenever I feel like I am losing hope, losing myself, I take the time to practice yoga, read , and pray. I try not to dwell on where I have been, but focus more on where I am going. I have started working out so that I can channel a lot of my frustration through cardio and keeping a healthy diet. Taking care of myself has become my main priority so that I can be the best me for myself and my children. This too shall pass. If you want to make a change, you have to be that change. Keep working hard and striving, things will eventually turn around. 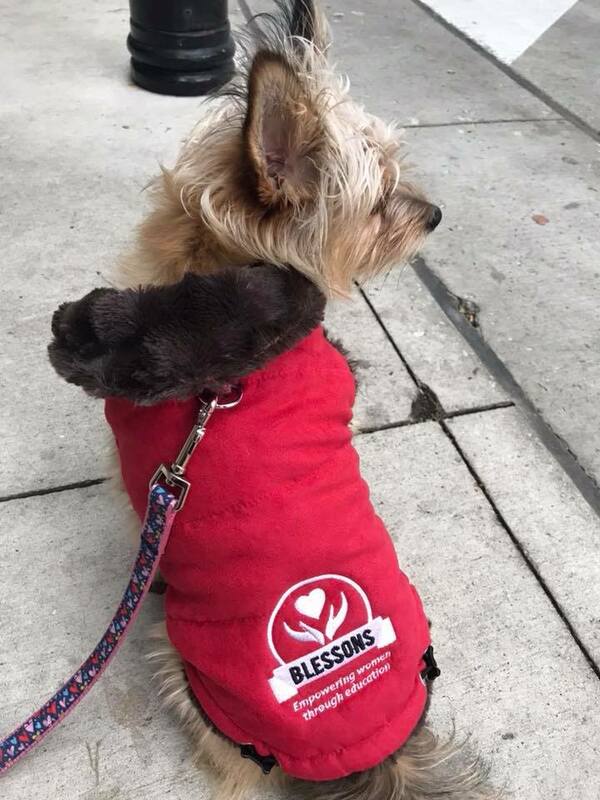 I would love to be a Blessons Ambassador at my school. I want to spread the word for women that are experiencing various struggles in life. As women, we are expected to constantly be strong, often without a shoulder to cry on when things turn for the worst. I have met dozens of women with their own stories to share, more women with stories than none. Society gives women the short end of the stick in certain situations. We are beat down enough, now is the time we uplift one another. I get empowered by surrounding myself with strong, intelligent, motivated women. I love spending time with my kids, going to the pool and the beach, cooking, dining, music, and learning new things.